Some good birds still around including an Icterine Warbler at Cape Greco this morning. Mixing Common Bird Monitoring transects with some birding afterwards! 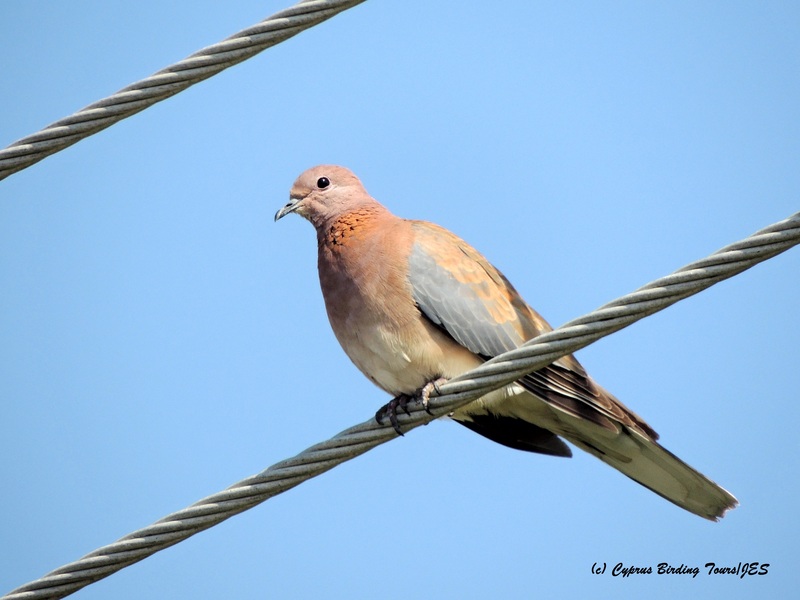 Photo below is of one of a pair of Laughing Dove near Agia Napa Sewage Works this morning. Wild birds are rare vagrants to Cyprus; this bird is from a small population established in the area by escapees from local collections. Others, again thought to be escapees, are now breeding in a couple of locations in Limassol. Categories: Birding | Tags: Black-headed Bunting, Cape Greco, Collared Flycatcher, Cyprus Birding, Cyprus birds, Cyprus birdwatching, Cyprus Warbler, Cyprus Wheatear, Great Spotted Cuckoo, Honey Buzzard, Icterine Warbler, Laughing Dove, Lesser Kestrel, Pallid Harrier, Red-backed Shrike, Spotted Flycatcher | Permalink.